Use this reading schedule to map your reading and study of God's Word. This unique reading schedule created by Rev. Robert Murray M'Cheyne, a 19th century Scottish minister, guides readers through the New Testament and Psalms twice a year, and through the rest of the Bible once each year. 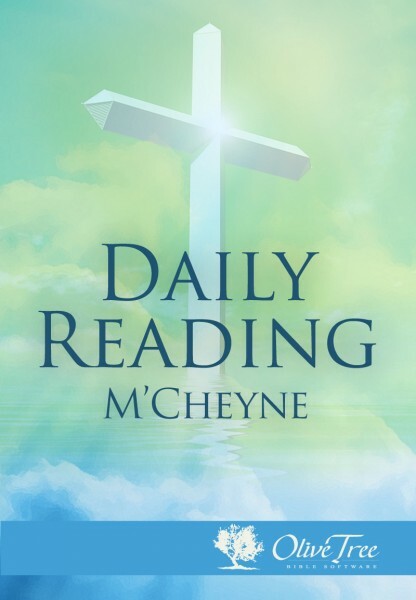 In M'Cheyne's reading schedule, four readings are offered each day. M'Cheyne considered the first two readings of the day to be "Family" readings, to be read aloud in family devotions, while final two readings were labeled "Secret" or "Private" readings, intended to be read and meditated as part of one's personal devotions.